I just knew it was gonna be one of those days. The folks in the containers were Roma, also known in many parts as Gypsies. They are Europe’s largest minority, and they have many good historical reasons to distrust outsiders. Voyeuristic photographers are thus chased away, violently if need be. But then Jovana Savic, a Church World Service staff member who had accompanied me, found a woman we’d arranged to meet. She was from a local Roma school and knew many of the families. When I went and stood by her, people quit yelling at me, but they nonetheless kept giving me the evil eye. Then one of the women remembered me from when I had visited their urban squatter settlement one cold and snowy day seven months earlier. Then another remembered me. Their rejection began to turn to welcome. Then I pulled the pièce de résistance out of my bag: some prints of several images I had captured during that earlier visit. 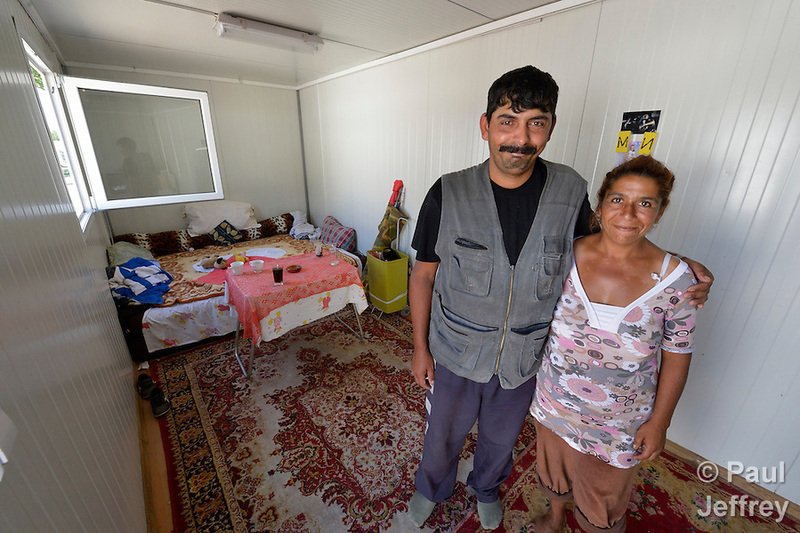 In that instant I went from an unwelcome gadje to an old friend, and some of the women who’d been yelling at me to leave began dragging me to their containers to show me their new home and have me photograph them anew. Soon I was sitting drinking coffee inside one of the containers, talking with a family I’d interviewed at length in their old settlement. They took the photographic print I gave them and stuck it to the wall of their “living room” with a magnet. The man of the “house” was Milan Pesic. 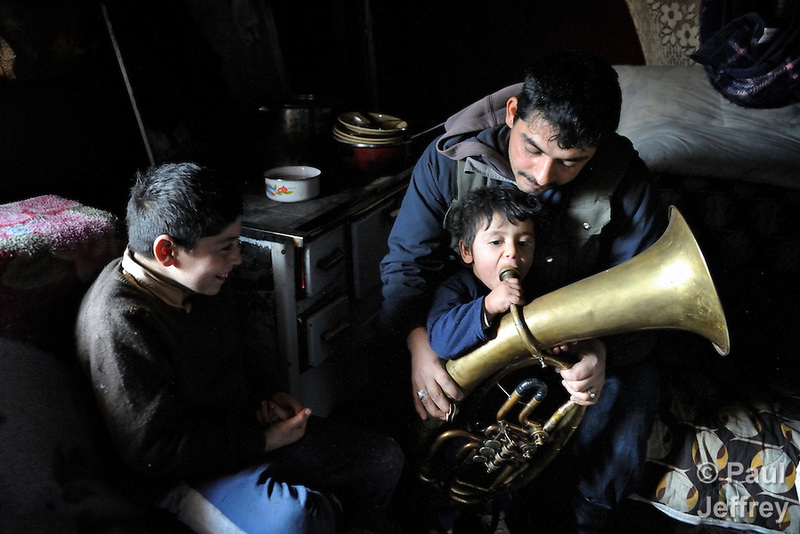 I’d met him in their prior home, and photographed him as he practiced with the horn he played in a Roma band. The photo of his son Boban was one that I’d printed. Here’s the first image from their old place, then Boban holding the photo in the Containerville, then Milan and his wife Gordana in their new container. I wove the story of Milan and his family into one of four articles I wrote for the May issue of response, the magazine of United Methodist Women, many of whom are studying the Roma this summer in a several-day study program dubbed “Mission U.” I wrote separate stories about the Roma in Serbia, Macedonia and Bulgaria. The June issue of the magazine will carry a piece I wrote on Roma immigrants in Berlin. 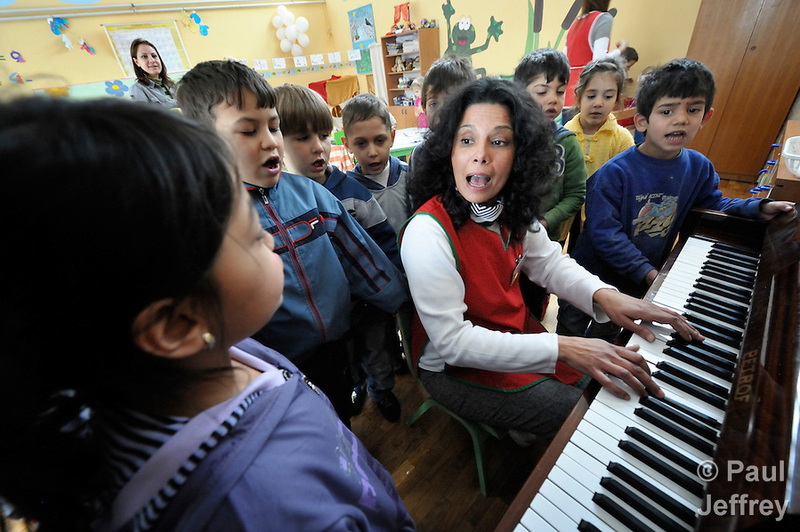 The Serbia visit also included a return visit to a Roma preschool in Smederevo. The school is one of several education projects for Roma supported by Church World Service, one of which is a classroom in one of the metal containers in Makis. In Smederevo I worked on a short video for CWS (here’s a director’s cut; geez, this video stuff is hard) and again photographed in the school they support. During several weeks of researching these articles in two separate trips last year, I often found myself in the grasp of Roma hospitality. For a people so leery of outsiders, like the poor anywhere they can also offer a profound gift of hospitality, and for that I’m thankful. Without their collaboration, there was nothing for me to write. I might as well have stayed home and done my research in Wikipedia. 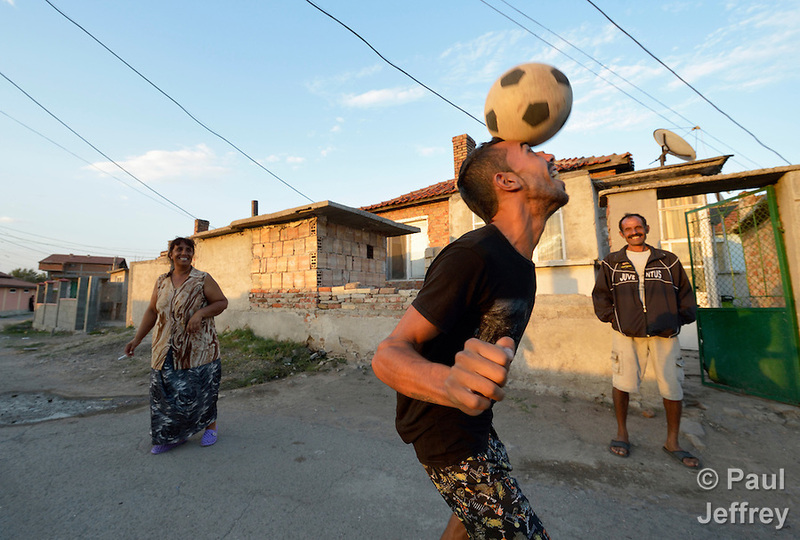 Instead, I traveled to Serbia, where in February last year I met people in the Roma squatter community in Belvil, a suburb of Belgrade, where Milan’s family lived. I wrote a lengthy blog post about that visit. 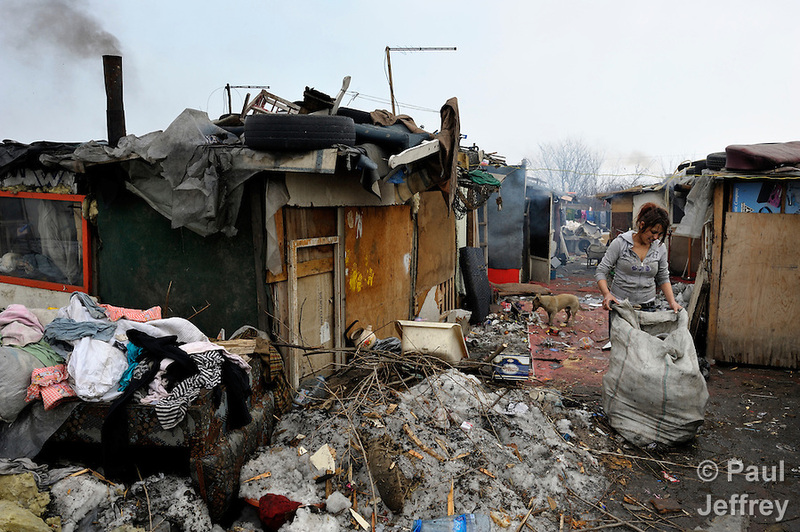 In April 2012, within days of writing that post, the thousand or so people living in Belvil were forcibly evicted, allegedly because their settlement was an “eyesore” and in the way of “progress.” About half of the residents, mostly those with ID documents with Belgrade addresses, were resettled in the metal shipping containers outside the city, and they were warned that they could not continue recycling, their most common income-generating activity. 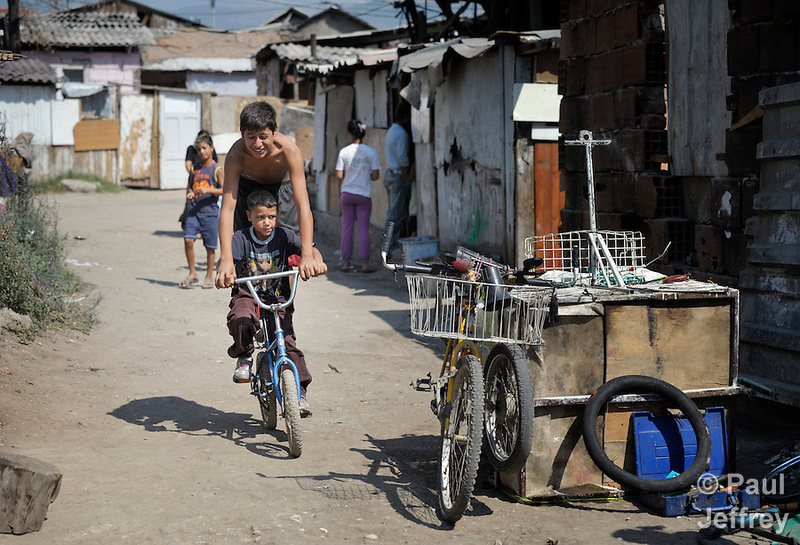 The city moved the Roma out of sight, but didn’t allow them a means to sustain themselves. Most of the remaining Belvil residents were sent to their villages of origin, principally in the south of Serbia. I interviewed Mirjana Memetovic for the response article. She was sent with her three daughters to the south, but she had no reason to stay there. So she worked in the fields for two weeks in order to buy bus tickets for her and the girls back to Belgrade. I found her living in a new informal squatter settlement in the Belgrade suburb of Palilula, along with several other Roma, including Vita Stankovic and Sofija Arbanac and their two daughters, the family which I wrote about at the beginning of my earlier blog post about Serbia’s Roma. They’d been initially relocated in one of the metal containers, but had been expelled because Vita allegedly had a habit of getting in fights with his neighbors. Life for the Palilula Roma was pretty rough, their makeshift dwellings surrounded by the inevitable but unsightly detritus of artisan recycling. Sofija told me she survives by scavenging for bread in dumpsters, then cleaning off the mold and reselling it. Mirjana, pictured here with two of her daughters, earns some money from recycling while also begging at a nearby McDonalds. She was friendly and witty, but it’s literally impossible for illiterate Roma women to get jobs in the formal economy. We talked at length about the hopes she has for her daughters. Following my return visit to Serbia last September, I headed to Macedonia. I had tried to communicate via email ahead of time with a woman activist in Suto Orizari, a suburb of Skopje that forms the largest Roma settlement in Europe. She’d been recommended to me by Jon Lee Roberts, a gifted young photographer who had spent several weeks in the community, but she hadn’t answered my emails, so I was planning on trying to find her once I arrived. 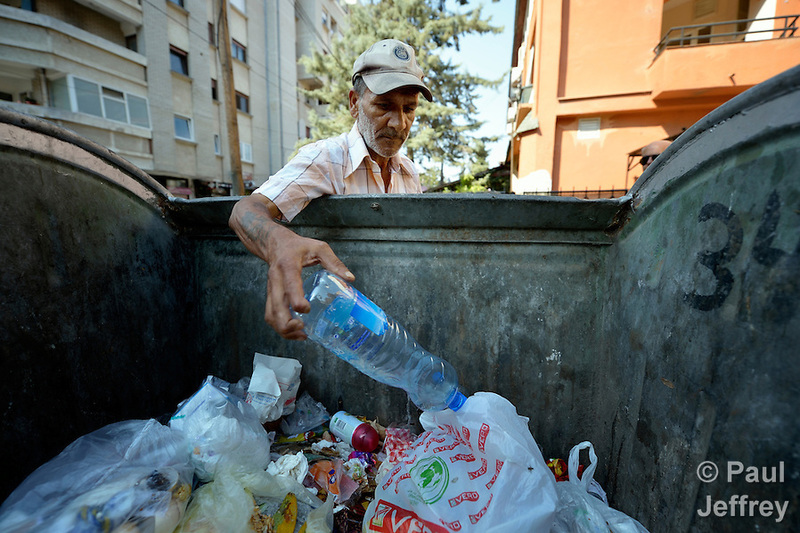 But first I spent a couple of days with Lazo Tancev, a United Methodist pastor who graciously introduced me to some Methodists in Suto Orizari, including Sadedin Husein, a 63-year old man who earns a living scavenging for plastic bottles in garbage dumpsters around Skopje. I interviewed him and photographed him at work for the response piece on Macedonia. While accompanying Sadedin in his morning tour of Skopje’s dumpsters, we encountered a woman standing at a bus stop who inquired of Sadedin if I was bothering him, and if I had his permission to be taking his photo. (Lazo was translating this for me.) I was a little put off by the nosy woman, and introduced myself, and she said, “Oh, we’ve been waiting for you.” It was Ljatife Sikovska, the woman I’d been trying to contact. Email wasn’t her strong suit, as I discovered, but she turned out to be a fascinating guide into Roma life. I arranged to meet her the next day, and then spent a day and a half with her, most of that time walking around Suto Orizari, visiting other Roma in their homes. Ljatife’s work as a Roma advocate–she directs a Roma women’s organization called Ambrela–often involves helping people get birth certificates and other identification documents. Without those papers, they might as well not exist, and their children can’t get into school or get medical care. There’s a lengthy interview with Ljatife in the response article, as well as insight from a variety of other people she and Lazo introduced me to in Suto Orizari, especially some young people who talked about the challenges of changing how the Roma see themselves and are seen by others. 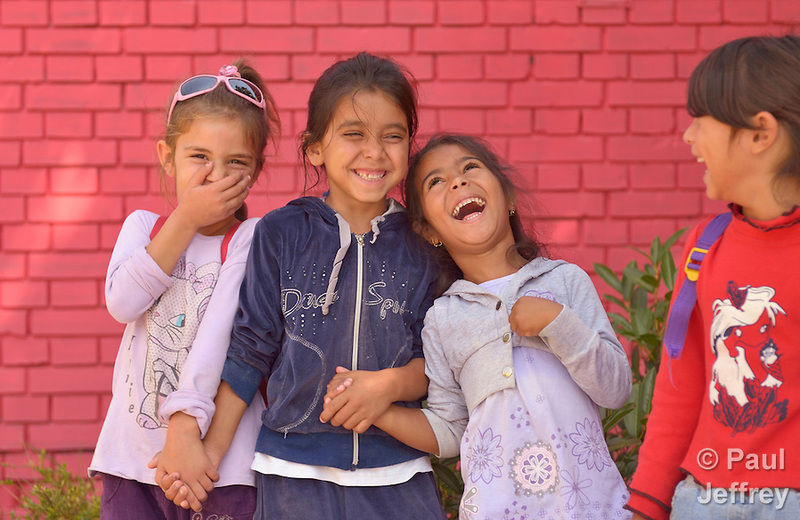 It was their hospitality and help that literally opened doors for me into the homes and lives of Macedonia’s Roma community. A day of riding buses through the mountains got me to Ruse, a city along the Danube river in northern Bulgaria, where the United Methodist superintendent for Bulgaria and Romania welcomed me into his home. 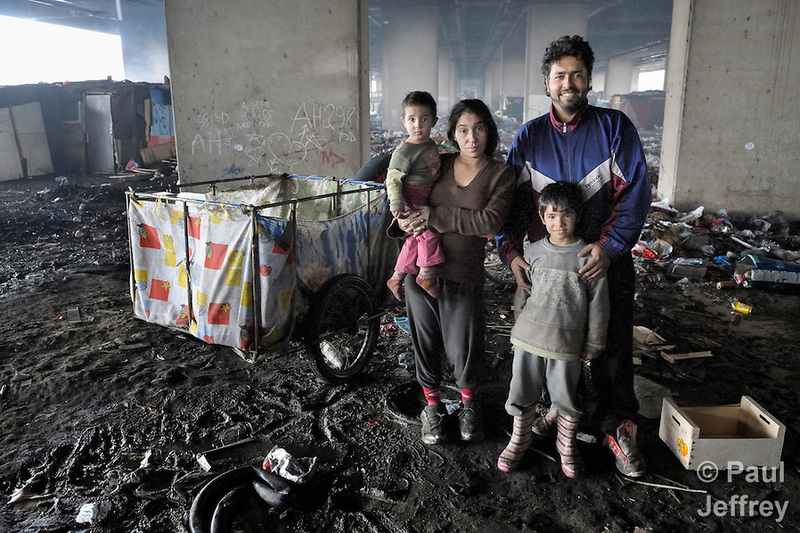 Daniel Topalski then spent three days driving me around Bulgaria, visiting Roma communities in a variety of settings. We also spent several nights talking shop late into the night, with Daniel painstakingly explaining to me the similarities and differences between Orthodox theology and Wesleyan thinking. Unfortunately, I drank so much beer that the next day I couldn’t remember any of it. Bulgaria is a fascinating place to look at Roma assimilation today. It was the dream of the Communists to abolish racial differences in favor of a classless society. 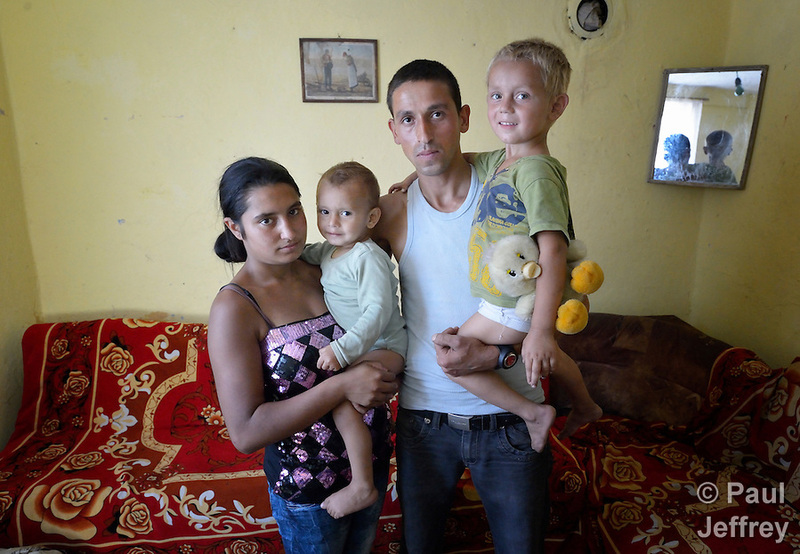 And just about every Roma I interviewed in the Balkans looked back fondly at Communist rule, remembering how they’d had employment and their kids had to go to school. Yet the Communists had also ordered the “Great Halt” that put an end to the wandering Gypsy caravans and forced the travelers to settle down, an experiment of social engineering with disastrous consequences. And in trying to manufacture racial anonymity, the Communists changed many Roma names to remove evidence of ethnicity. Yet the Roma had already launched their own efforts at “self-misrepresentation” (to use the phrase of Isabel Fonseca in her wonderful book Bury me standing: The Gypsies and their journey), denying that they were Roma and instead calling themselves “Turkish-speaking Bulgarians” and a variety of other terms. Most of the places Daniel took me were laboratories of that identity crisis, but with mixed results. In Staro Oriahovo, where I met with several people in the local Methodist church, the pastor slipped, at one point admitting that residents of the “Romanian-speaking minority” community were in reality Gypsies. “No we’re not!” shouted the congregation. 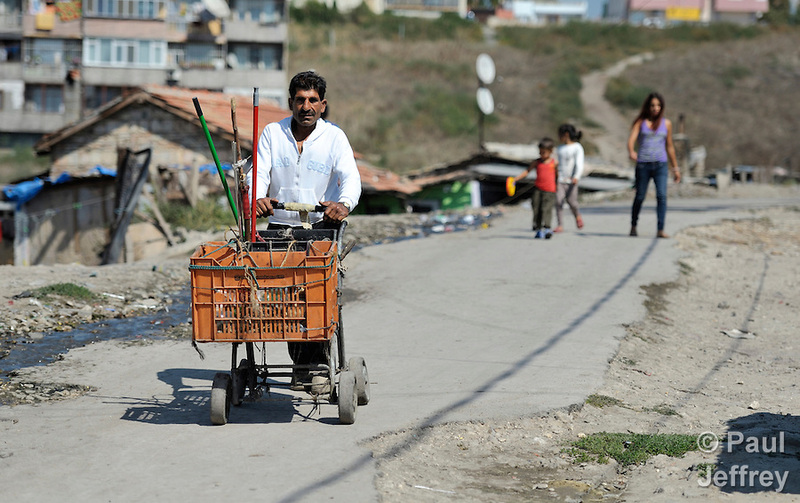 In Varna, I was told by Demir Sandev, a 57-year old Turkish-speaking Roma man who recycles scrap for a living, that pretending to be someone else does little good. “Sometimes people claim they are Bulgarians simply because that’s the country where they live. But it’s obvious, you can see that some people are Roma. 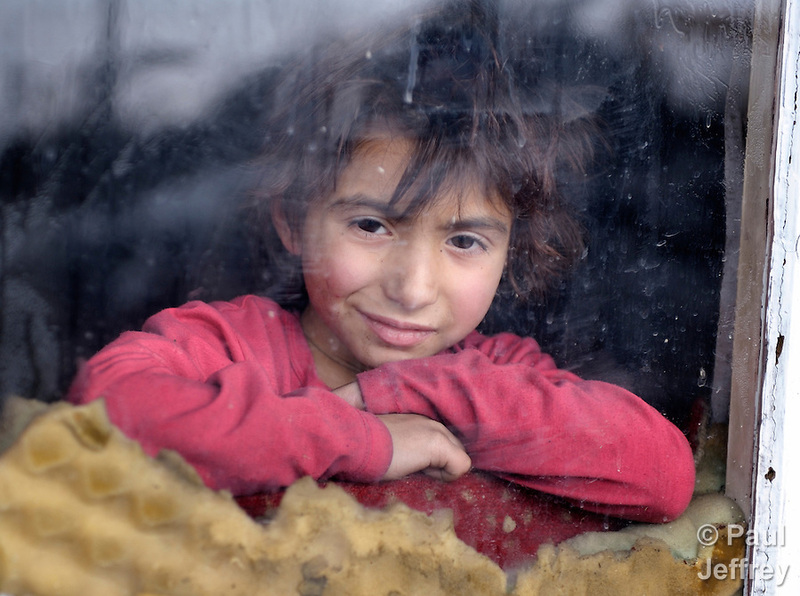 I prefer to say openly that I am Roma, because they’re going to beat me anyway,” Demir, a United Methodist, told me. 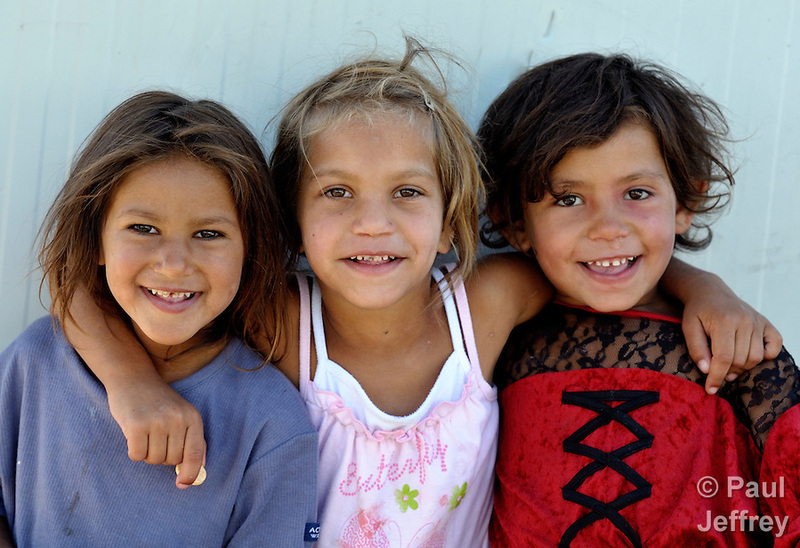 I’m thankful to the Roma of Bulgaria, whatever they choose to call themselves, for opening their lives and homes to me. Without their assistance, I couldn’t have come close to beginning to understand anything about their complicated lives, history and communities. Without their assistance, I would have been one more gadje standing outside looking in, and the perspective of viewing a poor community from the outside is markedly different from seeing it from the inside. 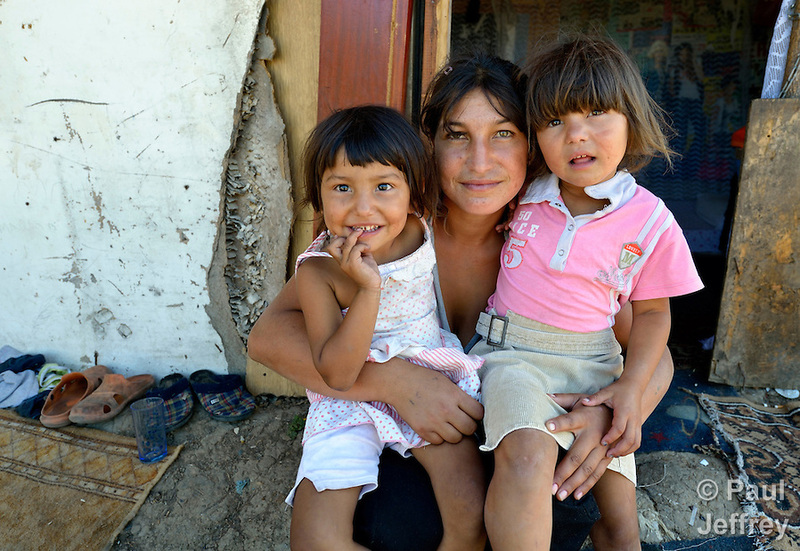 Looking at the Roma from afar often affords a view that gets hung up on the trappings of poverty–the garbage and falling-down shacks–while listening to the Roma inside those communities one hears a narrative of survival and strength. In one town in Bulgaria the Roma in the Methodist church were organizing to stop the trafficking of young Roma girls to western Europe. In another the church had started a feeding program for the hungry children in their midst, utilizing their own meager resources to buy and prepare food. It was a similar resolve I found among youth in Macedonia’s Suto Orizari, determined that they could overcome all the cultural obstacles that lay between them and their future. 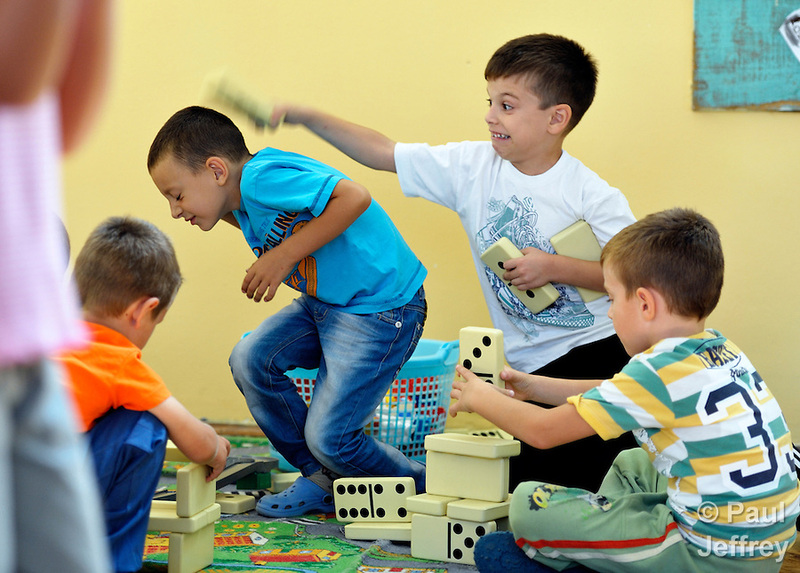 Or the quiet courage of families in Serbia, who expelled from one place are struggling to raise their children in another, providing love in the middle of a society that has relegated them, in the best of cases, to a metal box on the outskirts of the city. May 9, 2013 | Filed under Blog, Europe, Faith, Photography, Women. I always enjoy your photos; the joy, humanity…and pathos. Thank you. Tech question: what do you use to print your photos in the field? Thanks, David. I don’t print in the field. The prints I took back were from a visit several months earlier. I had the images printed back in the US and carried them with me. I try to do that whenever I’m returning somewhere. Unfortunately, I don’t often have the luxury of returning to a particular place. When I can, and can take some prints along, it’s wonderful. 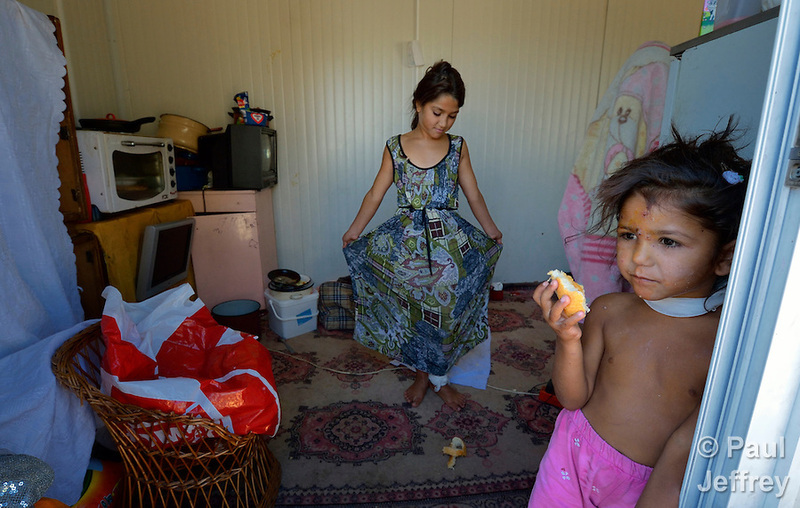 Thank you for the work you are doing to share pictures and information about the Roma. I live in the US and am part Roma. Most people don’t even know what that means (I have to say Gypsy and all they have are vague misconceptions). 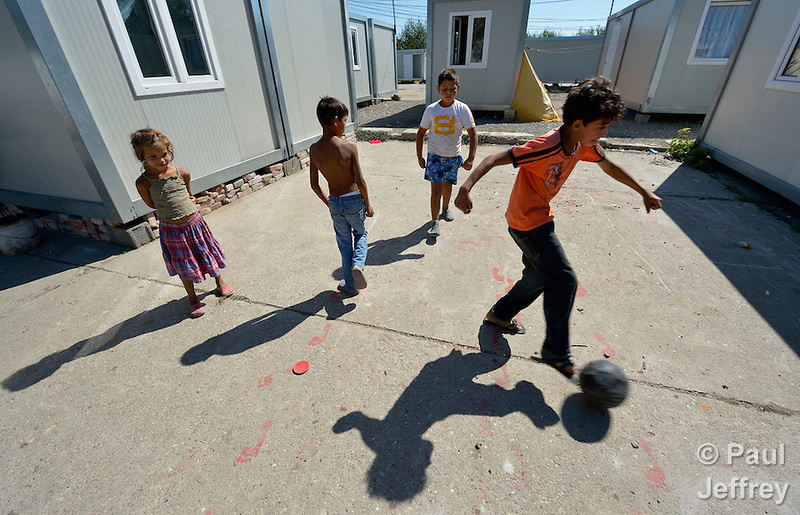 Most Americans know nothing about how the Roma are treated in Europe. Americans don’t understand or know about the Roma because we don’t travel to experience other cultures, or when we do we stay at 5 star hotels and never see the ‘other’ side. Sometimes it’s very painful to see how the rest of us live, but we need to if we are ever going to be compassionate as we should be to each other. What an amazing story! How beautiful the pictures. I was touched by the quality of love among them and how well they express it toward each other. Thanks so much for sharing this treasure with us. Thank you so much for sharing your insight on the Romas. Although I have friends who worked with them as part of their Peace Corps assignment, this gave me so much more insight. What a wonderful story, I read every word here and in Response magazine. I plan to take the study at Mission u this July. Blessings to you and thank you for your work. 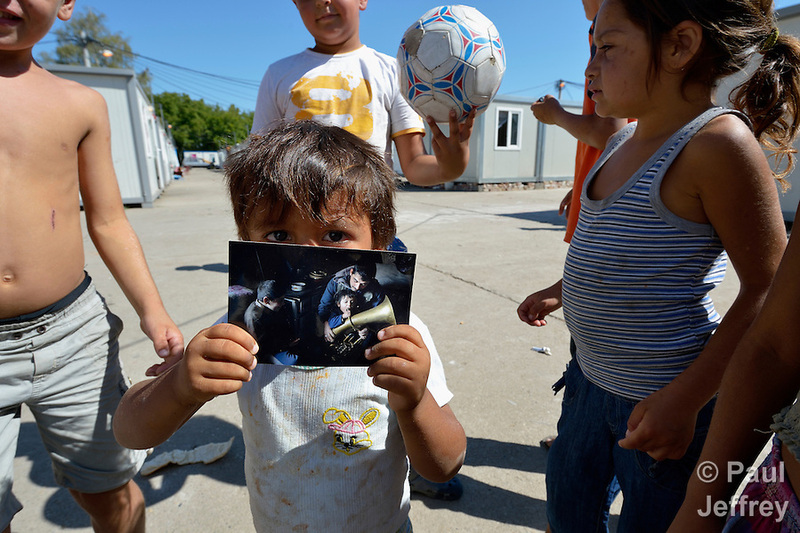 Thanks for opening our eyes as you share the Roma story through words and photos in print as well as the Internet. I continue to be grateful for your stories through pictures. Your work always touches my heart and allows me to reflect on issues that you present. Thank you, thank you, thank you. You are an inspiration, Paul. I love your photos and always enjoy reading your blog posts. God bless you as you continue your ministry through the lens! Thank you so very much. I, for one, appreciate all that you do. 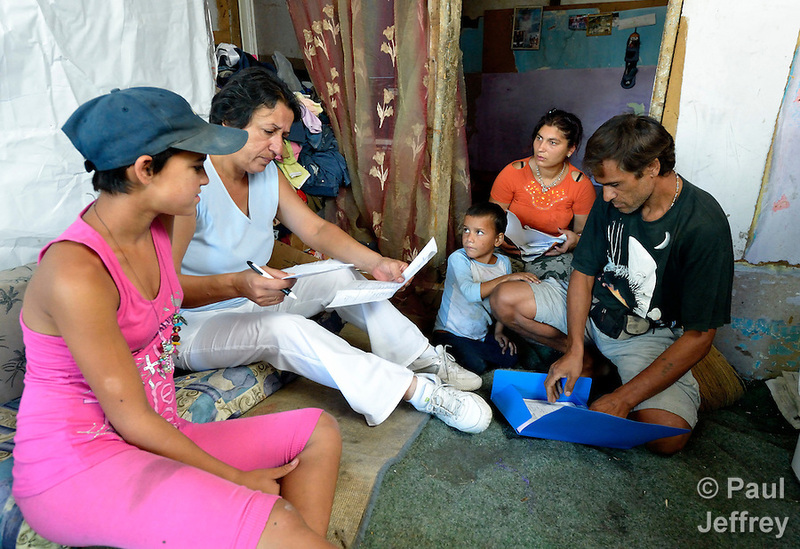 As someone who will be teaching the Roma study this year, and as I prepare to attend training, your work is invaluable in helping me to better envision and understand these people and this topic. Blessings upon you and all of us as we endeavor to be the hands and feet, and eyes and ears of Christ on this earth. I love the photos. I am doing a display for Mission u where we will be studying The Roma. Is it possible to print and use the photos for the display? Use UMW25 as the coupon code upon checkout for a 25 percent discount! You can also purchase individual use licenses for hundreds of Roma photos in three galleries. These personal use licenses allow you to make your own prints or weave the images into PowerPoint or other digital presentations. Use the same discount code for a 25 percent discount. Thank you for your kindness. I know they will be greatly appreciated by my class on Saturday. I looked you up Paul, after reading the March 2017 article in response Magazine on the peacemaking summit with Japanese and Korean young women. I loved the “My heart wasn’t big enough,” quote by a Japanese young woman visiting a museum on comfort women during WWII. Oh, and I borrowed “Food Fight” from the Great Rivers Conference in southern Illinois. I always wonder, is there any place on Earth that the Rev. Jeffrey has not been? And why should some of us in the USA eat whenever and whatever we want of GMO fare when nearly a billion people on the planet are starving. I volunteered with the Sierra Club last summer at the Monee County fair. When the farmer father of a member with whom I was “manning” our booth came to pick her up, I asked him about monocropping. He sheepishly said yes, he has to compete. But when I discovered Vandana Shiva’s “Soil, not Oil” I wrote my friend about the book. She said she would give that book to her father on the next holiday. Of course, can’t make him read it.